The Kenmore Village Improvement Society (KVIS) is an organization of residents and friends of the Village of Kenmore whose goal and purpose is to improve the quality of life here. Society members have the opportunity to be directly involved in making the Village the best it can be by using our individual talents, interests, and abilities in ways that fit our time limitations and obligations. Improvement goals are accomplished through an on-going liaison relationship between Society members and businesses, property owners, government, and other organizations. By communicating and working together, we are helping to create a Village that is healthy, prosperous, safe and enjoyable for all—a gift to ourselves and future generations! You are warmly welcome to consider joining in the good work of the KVIS today. Membership to the KVIS is open to all residents and friends of Kenmore. Membership is free and bears no obligation--each member participates as he/she is inclined to do. 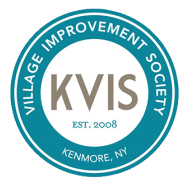 The KVIS meets together on the second Monday of each month at 7 pm at the Kenmore Community Center located at 135 Wilber Avenue, Kenmore, NY 14217. Our work is primarily planned and accomplished through smaller focus groups or committees, each Committee meets once each month. Each 2nd Monday Society meeting includes reports from the Committees, including any decisions needed to be made (by relaxed Roberts Rules voting), and reports from Liaisons and Coordinators. View a sample of our 2nd Monday meeting agenda to the left. 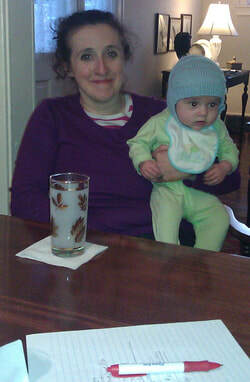 Ramona Santa Maria and son. 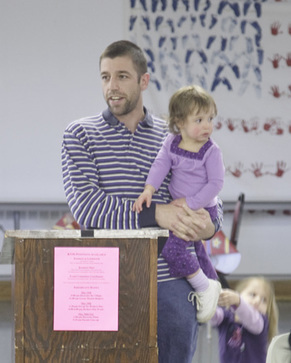 Children are always welcome at KVIS meetings! Fred Frank and daughters.